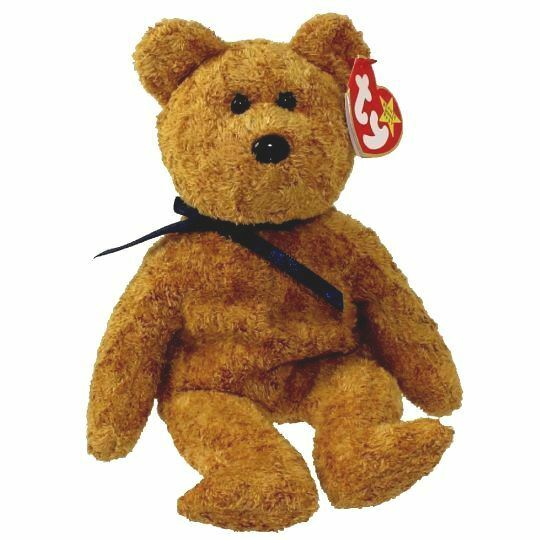 Fuzz is a brown bear made from suede effect material. He has black button eyes and a slightly larger black button nose. Fuzz wears a dark blue ribbon tied around his neck. His texture is really quite rare. He has class, style and flair! Fuzz was released on 1st January 1999. His Birthday is on 23rd July 1998. He was retired on 23rd December 1999.